Stream daylighting is about returning term a stream running underground through pipes to its natural state. The pipes are removed, the stream banks restored and the area is landscaped to fit with the surrounding land use. Thanks to the community supported by Ecomatters, the La Rosa Gardens Reserve in West Auckland has gone through great changes in the past year restoring the the Parahiku and Waitahurangi streams so they become havens for our native flora and fauna, including tui, kerekeru, harakeke and other iconic New Zealand species. The Water Advice Line is provided by EcoMatters Environment Trust and funded by Watercare Services Ltd. We provide free water saving advice that helps householders save money, and places less demand on this finite and precious resource and the infrastructure required to supply and treat it. 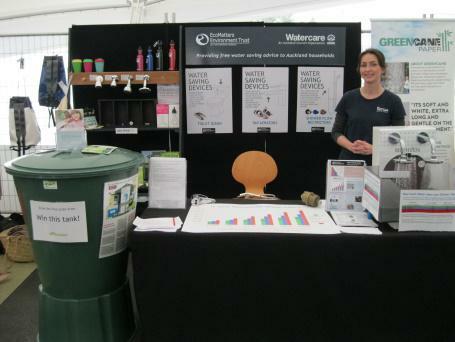 Auckland households with median to high water use are eligible to participate in a Water Survey to help determine where water may be being wasted, and they then receive a personalised Water Savings Report to assist them in reducing their household’s overall water consumption.